Daniel has worked widely as a conductor, and has directed choirs and ensembles throughout the UK. 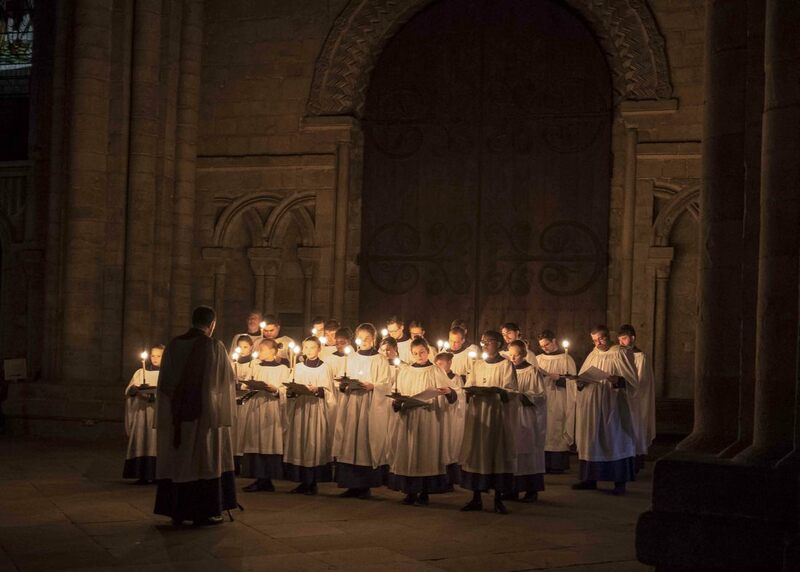 As Master of the Choristers and Organist of Durham Cathedral he directs the Cathedral Choirs for services, broadcasts and concerts and takes particular responsibility for training the boy and girl choristers. He is also Musical Director of Durham University Choral Society. In addition, he is Artistic Director of Mousai, a professional ensemble of twelve young singers at the start of their careers. Prior to this, he was Sub-Organist of Westminster Abbey where he directed the famous choir of men and boys as Assistant Director of Music, taking specific responsibility for the Lay Vicars. Before moving to the Abbey, Daniel directed the music at St Davids Cathedral in Wales, where he was responsible for the Cathedral Choir and the Cathedral Boys' Choir. As Artistic Director of the St Davids Cathedral Festival, Daniel directed the Festival Chorus, Festival Children's Chorus and Festival Orchestra. Daniel enjoys working with both professional and amateur singers, and has directed instrumental groups such as Onyx Brass, the London Mozart Players, La Folia, the Handel Festival Orchestra and Salisbury Symphony Orchestra. Daniel founded the Salisbury Cathedral Chamber Choir and has been music director of the Farrant Singers, Grange Choral Society and Orchestra, and Cor Dyfed Choir. He has also acted as guest conductor and chorus master for many professional and amateur choirs across the UK, including the BBC Singers and RSCM Millennium Youth Choir. Daniel's orchestral repertoire includes: J.S. Bach, Christmas Oratorio, St John Passion, Mass in F BWV 233; Dove, The Far Theatricals of Day; Duruflé, Requiem; Dyson, Canterbury Pilgrims; Elgar, The Dream of Gerontius; Faure, Requiem; Handel, Messiah, Dettingen Te Deum, Four Coronation Anthems; Haydn, Creation; Michael Haydn, Requiem; McCabe, Songs of the Garden; Panufnik, Westminster Mass; Patterson, The Fifth Continent; Rutter, Gloria, Requiem; Swayne, The Yonghy Bonghy Bo (English Premiere); Verdi, Requiem and Weir, All the Ends of the Earth. Daniel's work as a chorus master has involved preparing both professional and amateur choirs for performances of the following works: J.S. Bach, St John Passion, St Matthew Passion, Christmas Oratorio; B minor Mass; Brahms, German Requiem; Britten: Spring Symphony (treble part), War Requiem (treble part); Cellier, The Mountebanks; Handel, Israel in Egypt, Queen Anne Ode; Monteverdi, Vespers of 1610; Mozart, Requiem, Mass in C minor and Arvo Pärt, Passio.